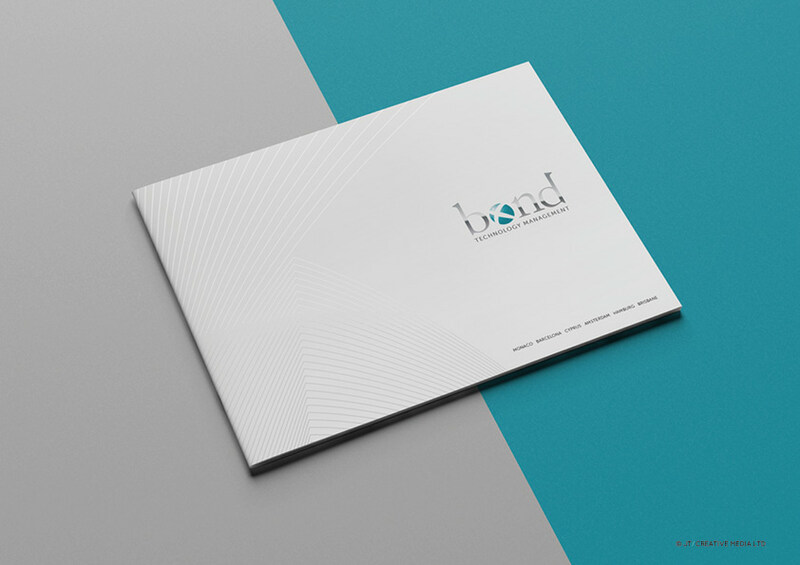 Bond Technology Management was founded in 2007 and is now established as the leading technical management company for on-board Audio Visual, IT, Communications, Security and Navigation systems for the most advanced superyacht new builds and refit projects. 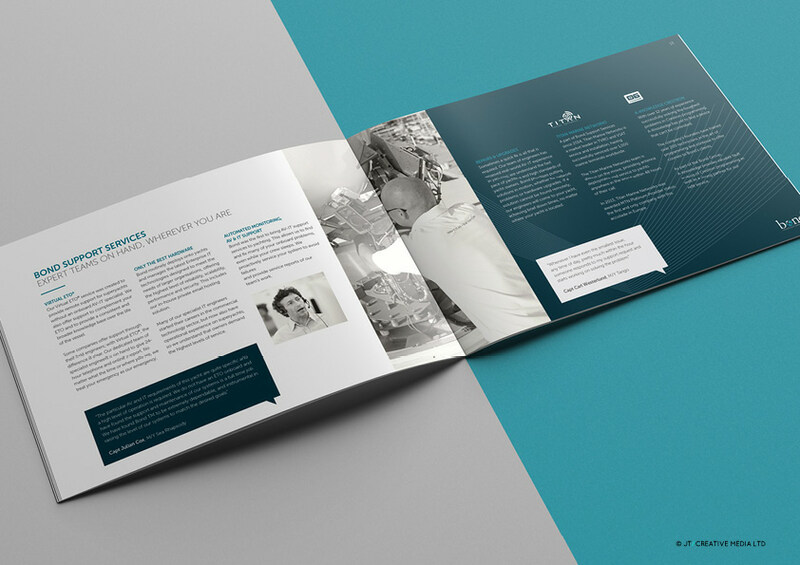 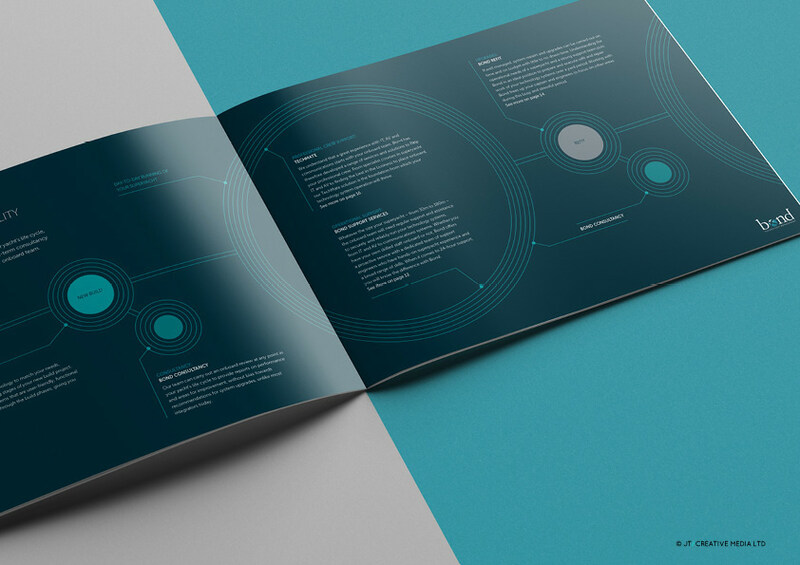 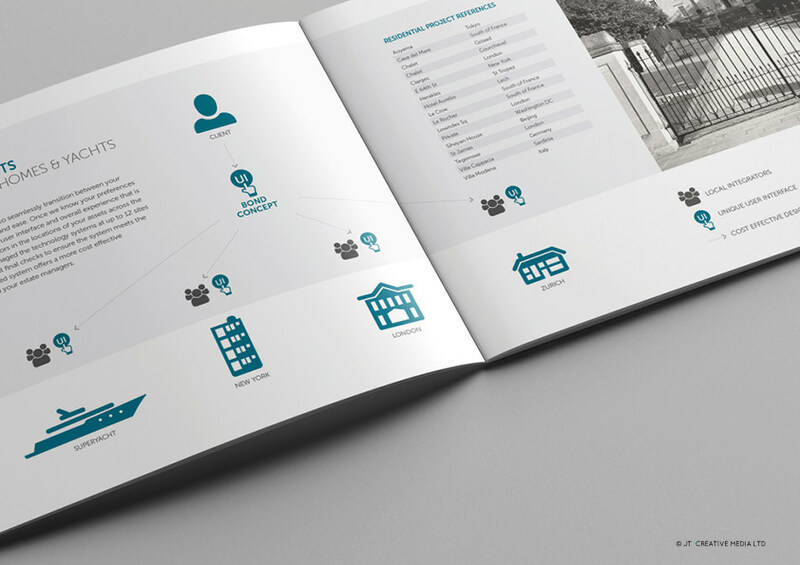 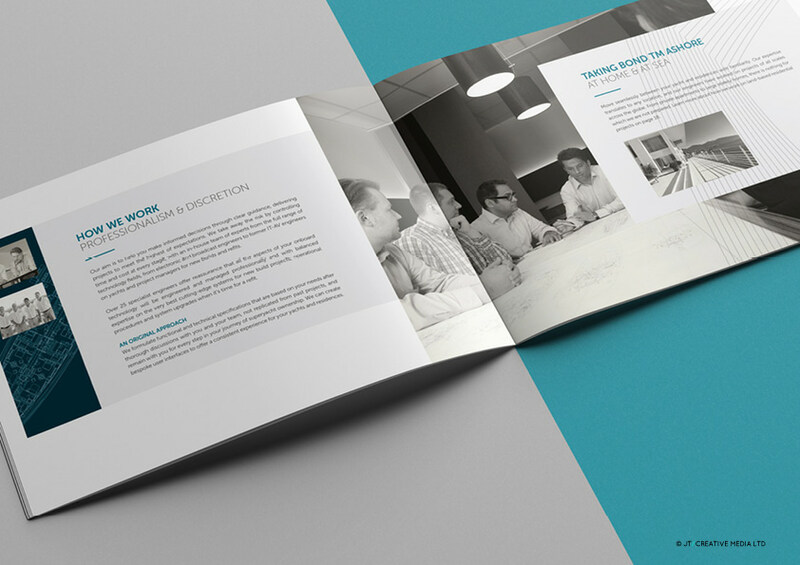 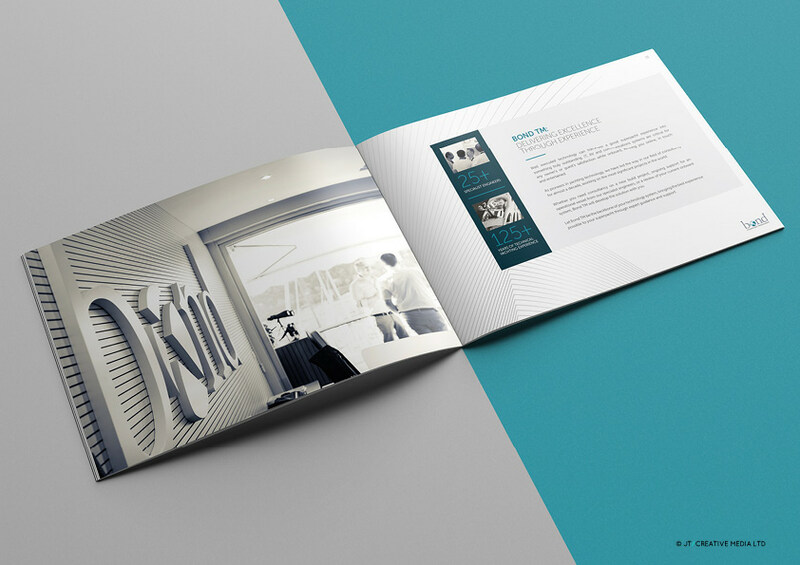 JT Creative designed this brochure to reflect both the technological and luxury aspects of their business. 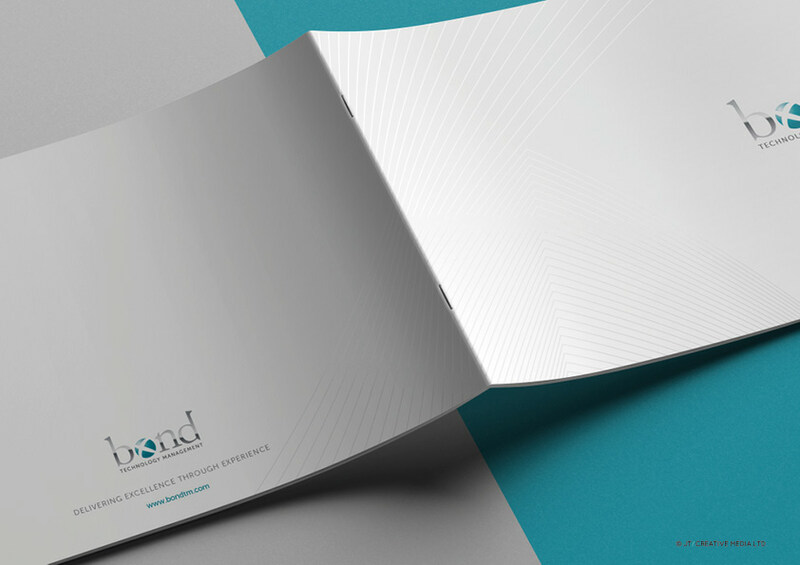 Graphic devices were created using elements of their logo mark. 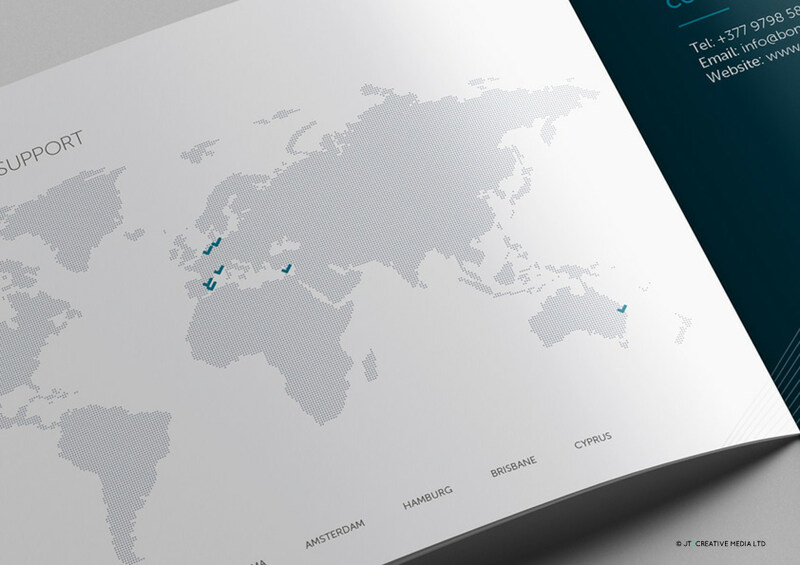 Transforming the logo mark shapes and forms that loosely represent a superyacht hull. 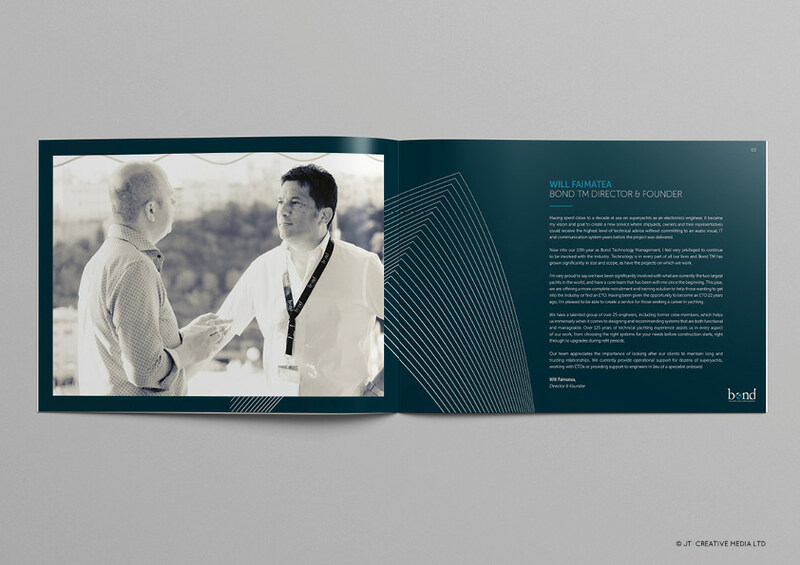 The designs also reflect the interior of the Bond TM Monaco offices.